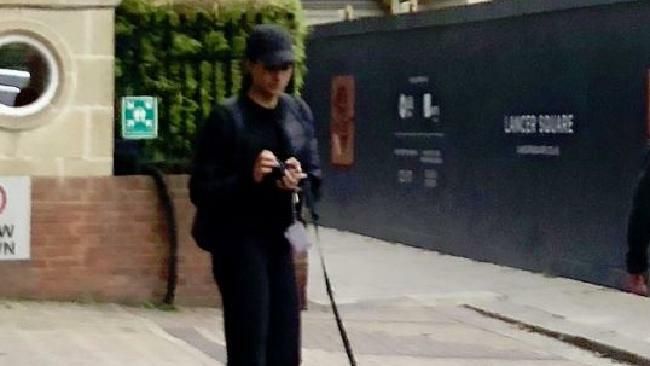 A PHOTO claiming to show Meghan, Duchess of Sussex, with a dog outside of Kensington Palace has sent Twitter into a frenzy - but it is a fake. The photo shows a woman - dressed in all black - standing near the Kensington Palace gates in West London as her dog squats down to do its business, reports The Sun. It was shared on Twitter by US journalist Lisa Petrillo, who claims she spotted Meghan this week while on holiday in London. But royal sources strenuously denied to The Sun that the woman in the picture is Meghan. A source told the publication: "It's not her." Others also took to Twitter to suggest the same image could have appeared on microblogging site Tumblr in 2014 - sharing file data to prove it was an old picture, but The Sun has been unable to verify this. 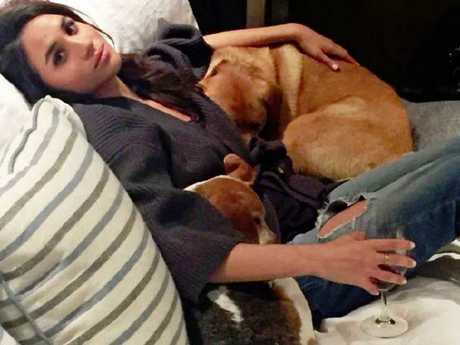 And the dog in the latest photo shares different markings to those of Meghan's beloved dogs - a beagle called Guy and a Labrador-shepherd mix called Bogart. She also reportedly adopted a black Labrador, Oz, with Prince Harry in recent months. Sharing the snap on Twitter, Ms Petrillo claimed: "So incredibly enough, walking by Kensington Royal - we spotted this beautiful, woman with a familiar air where Harry & Meghan live. "She couldn't have been sweeter. #princessespickuppooptoo"
She later added that the woman did pick up the dog's business, adding: "I'm still in total shock! I pet her dog!" Fans were quick to comment on the photo - debating on whether or not it was in fact the actual Duchess. But others weren't so sure, with one writing: "That's not her … nor is it her dog." 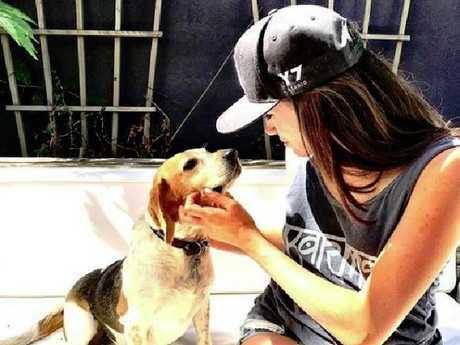 Her other dog, a beagle named Guy, was flown to the UK in November but Bogart was thought too old to make the long plane journey. He is reportedly being looked after by friends of Meghan. She wrote on Twitter: "I'm here on vacation. "NOT working. Spotted her - as did many of us. We were thrilled - don't care if you don't believe. Sorry you're so negative. It was just a sweet moment I shared. 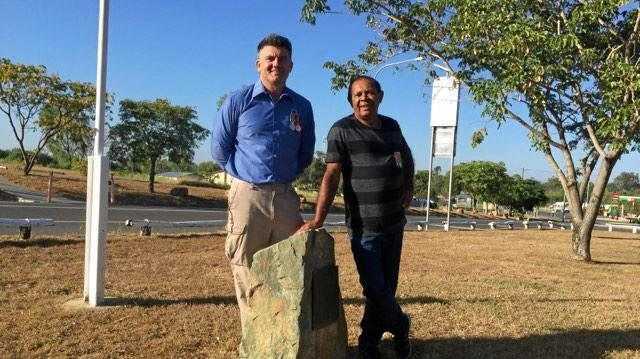 This story was first published in The Sun and is reprinted with permission.